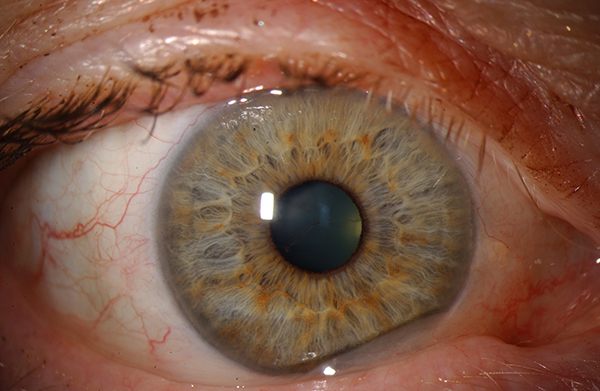 This image shows a wider view with a constricted pupil and relaxed vessel. 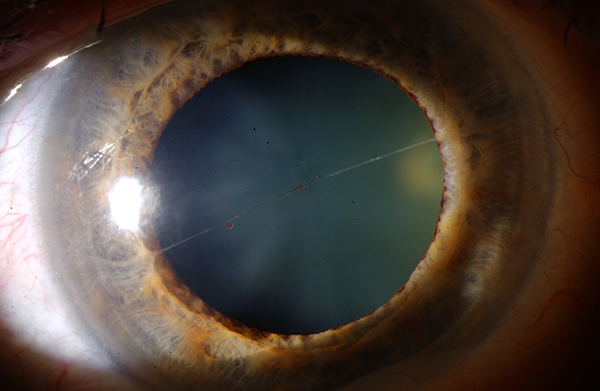 The patient presented with a congenital vessel that extended from the temporal surface of her right iris across the pupil to the nasal surface. The vessel would relax, or become taut as her active pupil altered in size. It had no discernable effect on her visual acuity, although she had a sense of movement in her vision when she was in strong sunlight. 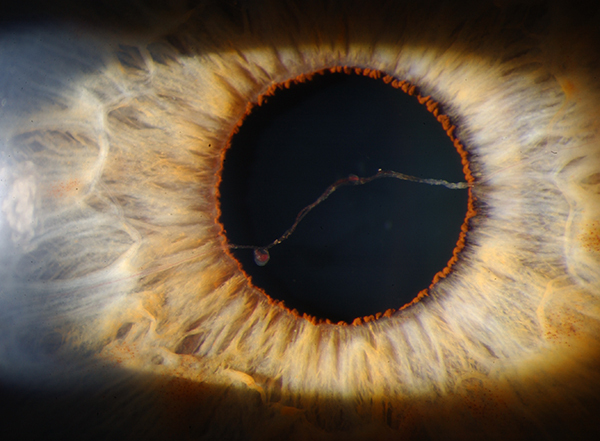 These images were taken by Paula Morris of the Moran Eye Center using a Zeiss photo slitlamp and a Nikon D-1X camera at flash 2 and 24x magnification. Previous PostPrevious Portrait Of Vision Scientist: Michael Redmond, Ph.D.